Diena has spent her career developing and delivering cutting edge solutions to complex system problems. She has broad industry experience working with scientists and technologist at the forefront of innovation. She merged her early career experience implementing cutting edge technology in the mobile and aviation industries with her interest in preventative health to serve as the COO of a healthcare technology company that created nutritional “prescriptions” designed to prevent disease and enhance well-being and performance. This sparked a passion for the science of human performance and Diena was inspired to form iBalans®. Keeping a science first approach, Diena developed the company's inaugural product, the WAV®, in collaboration with sports rehabilitation doctors, neuroscientists, and kinesiologists. She earned a BS in Mathematics from Stockton University and an MS in Statistics from Rutgers University. She serves on the Board of the Funny Farm Animal Rescue and provides entrepreneurial mentoring to highschool and college students through the Uncommon Individual Foundation. Diena has been personally benefiting from the positive effects of movement for health since her teens when she was prescribed exercise by a doctor to manage her own developmental imbalances. Her mission is to set the world into Mindful Motion™ so everyone can achieve their fullest movement potential. Lily's journey to becoming an expert in functional movement began in her earliest years as an enthusiastic multi-sport athlete ultimately finding her true calling in equestrian sports. She went on to compete successfully in the sport of show jumping through her postgraduate studies while working as a personal trainer and assistant equestrian coach. She added Pilates to her own training routine and quickly realized the benefits with her riding. This inspired her to move to Chicago to study with experts in the field and teach at two top studios. One day while cycling along an Illinois back road, Lily was hit by a truck. The accident left her with a broken spine and positive test for paralysis. Determined to ride horses again, she programmed her rehabilitation with the same mental focus and physical discipline that she had used to get ready for competitions but with a deepened focus on neuromuscular connections and pathways. 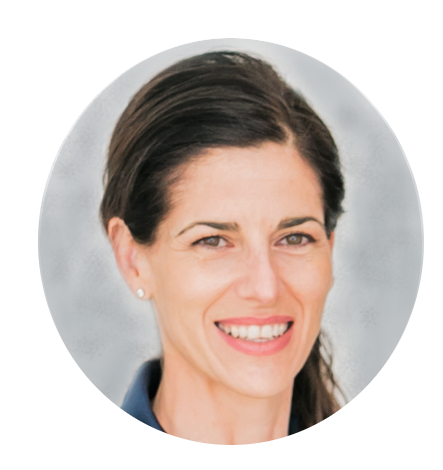 During those long months of rehab, Lily became cognizant of a gap in the rehabilitation process so she developed a second phase model that teams up clinical and fitness sectors for a client-centric approach that delivers unparalleled supportive care. It allowed Lily to return to competition as a two-time regional jump champion. Her deepened interest in rehabilitative movement led her to pursue advanced education and mentorship from top physiotherapists with heavier emphasis on neuro based movement and developmental kinesiology. She went on to found an equestrian sports cross-training practice and most recently led the development and implementation of a movement-science program actualizing the second phase model for a multi-location fitness club in California. Lily holds an MS in Kinesiology with a Sport Psychology emphasis from California State University at Fullerton, studying under the renowned Dr. Ken Ravizza. She is a Body Arts and Science International master Pilates teacher, Balanced Body Passing the Torch graduate, a certified Dynamic Neuromuscular Stabilization (DNS) Exercise Trainer from the Prague School of Rehabilitation, Z-Health Movement Specialist and contributing columnist for Equestrian sports journals. Lily continues to be inspired by the profoundly transformative power of movement. She is dedicated to continued learning and staying at the forefront of the field so she can make the most positive impact leading people to (re)discover the life changing benefits of optimized movement. Amy began her career in fitness while in college designing health programs in the DC area for government organizations and soon after opened her own personal training business with one-on-one and group fitness classes for area politicians, athletes and professionals. She took her know how to the Reebok Sports Club in New York City where she managed a team of 70 trainers, nutritionists and sports staff. She then joined the integrated team of medical professionals and fitness and athletic trainers at the famed La Palestra to drive health and performance for New York's elite. Amy was sent out to Beverly Hills, CA to open a similar business on Rodeo Drive where she created and managed the fitness side of a fitness, medical, spa business. Amy returned to her Philadelphia area roots to lead 50 staff for the fitness department of the Sporting Club at the Bellevue. She brought the culmination of her experience to the Jersey Shore where she founded and ran Exodus Integrated Wellness offering dynamic group classes, specialized training and wellness services. She sold Exodus to focus on making a broader impact on the fitness industry and spread wellness globally. Amy graduated from the University of Maryland with a BS in Communications and a minor in Health/Fitness and is certified through the American College of Sports Medicine. She lives by the sea with her husband, daughter and two sons. She believes in exercise as medicine and the positive impact of integrating the science and enjoyment of movement into everyday life. Lindsay is a graduate student at Stockton University in Galloway, NJ where she has earned a BS in Biology and currently studies physical therapy. Her involvement on the Stockton Osprey’s Women’s Volleyball Team and East Coast Crush Volleyball Club has helped her to gain experience as a coach and team leader while teaching basic fundamentals, as well as advanced play and strategy. Through her years at Stockton, Lindsay earned many athletic and academic accolades and honors including NJAC Player of the Year, twice-voted All-American Honorable Mention, and being named to the CoSida Academic All-American Second Team in 2016. Lindsay is working toward her Doctorate in Physical Therapy and plans to pursue a career in sports rehabilitation, blending her passion for athletics and healthy movement to help athletes learn to prevent injury and safely return to play.